Approved extension on home buyer tax credit, Double Bubble Trouble? 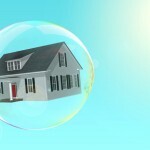 Home · Property Management · Financing : Market Report: Double Bubble Trouble? Market Report: Double Bubble Trouble? 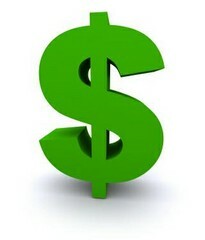 The home buyers’ tax credit has been extended to April 30, 2010. Obama approved the extension as part of a $24 billion economic stimulus bill. The measure limits the purchase price of the home to $800,000. It also imposes income caps so that people who make more than $125,000 annually and couples who make more than $225,000 would not be eligible for a refund. Anyone who collects the tax credit but sells their home within three years of buying it must return the refund. Current homeowners who are buying a new primary residence would be eligible for a $6,500 tax credit starting Dec. 1 if they owned their home for five consecutive years in the previous eight. Military families who have been deployed overseas for 90 days or more in 2008 or 2009, would have until April 30, 2011 to sign a contract. Dr Shiller, co-developer of the Case Shiller home price index and Yale economist points out that the price recovery of the last few months is the sharpest snap back he has ever seen. He is concerned that that in supporting a real estate recovery we may again be fueling a bubble. NAR reports that total state existing-home sales of single-family and condos increased 11.4 percent and are now 5.9 percent higher than the third quarter of 2008. Sales increased in 45 states and 28 states saw double-digit gains. Year over year sales were higher in 32 states and D.C. Buyers are coming back and in some parts of California we are seeing multiple bids and homes selling for more than list.